The current epidemic hitting the Bureau of Corrections is a tragedy of major proportions that manifestly show the incompetence of its leadership and the state of our current penal system, stated Mang Kiko President Atty Alvin Navarro. 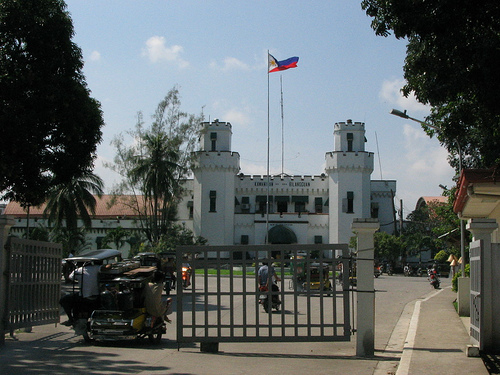 When the diarrhea epidemic hit the Bilibid prison compound in Muntinlupa, the immediate reaction was to blame the cause of the outbreak on the food service provider, Mang Kiko Catering Services Inc. Bereft of any evidence, officials shouted "food poisoning" as the cause and trumpeted this in media leaving no benefit or an iota of doubt as to the true cause of the outbreak. Even before an investigation was formally mounted, General Benjamin Delos Santos, BUCOR Chief, immediately pointed the finger at the food served by the caterer "paksiw na bangus". Only when Secretary Vitalliano Aguirre entered the picture was an investigation formally ordered and launched as led by the DOH together with the Muntinlupa Government. Inspite of this, a continued media attack was launched at Mang Kiko catering services prior to a conclusive end to the investigation. This prompted Mang Kiko to issue a statement to defend itself by pointing to the water as the source of the outbreak since they had on several occasions written numerous letters to officials of BUCOR stating the poor quality of the water based on lab tests they had privately contracted and conducted. This likewise prompted Mang Kiko Catering Services Inc. to request permission and thereafter install their own chlorinator in the kitchen area to ensure a clean and safe water supply for the meals being prepared. One week into the epidemic, reports still came out insisting that the cause of the diarrhea was food poisoning with an initial batch of 600 inmates reported to have been affected, then 900 and then, eventually 1200 in dubious increments of 300 per report. According to medical specialists, food poisoning happens immediately and affects those that were served bad food or bad water, and will only affect the immediate batch. If the ridiculous claims of BUCOR are to be believed that it is food poisoning, then Mang Kiko would have been serving tainted food even after the first batch had been affected by the diarrhea outbreak within the Maximum compound of Bilibid. At the same time that the investigation is going on, BUCOR threatened to blacklist Mang Kiko to make sure it no longer participates in any future bidding process of which 2 have already previously failed or declared a failure, due to unqualified bidders, by no less than The BUCOR head himself, Gen. Benjamin delos santos. In view of the highly peculiar circumstances, Mang Kiko Catering Service Inc. has written the Office of the President seeking remedy and has acquired the services of Atty. Lorna Kapunan as its legal counsel. Mang Kiko President Alvin Navarro stated that "because of accusations that there has been a deliberate act to cause this outbreak, the threat of blacklisting and a threat that some party will be facing justice despite the investigations yet being concluded, we are left with no recourse under the present circumstances but to protect our rights under the law. We cannot sit down and just look at what we have built over the last 11 years be eroded by baseless and unsubstantiated accusations. We have asked for fairness in the process, and we feel that we have been made the culprit and victim in this issue."